Steamloco.info started as a personal hobby project. 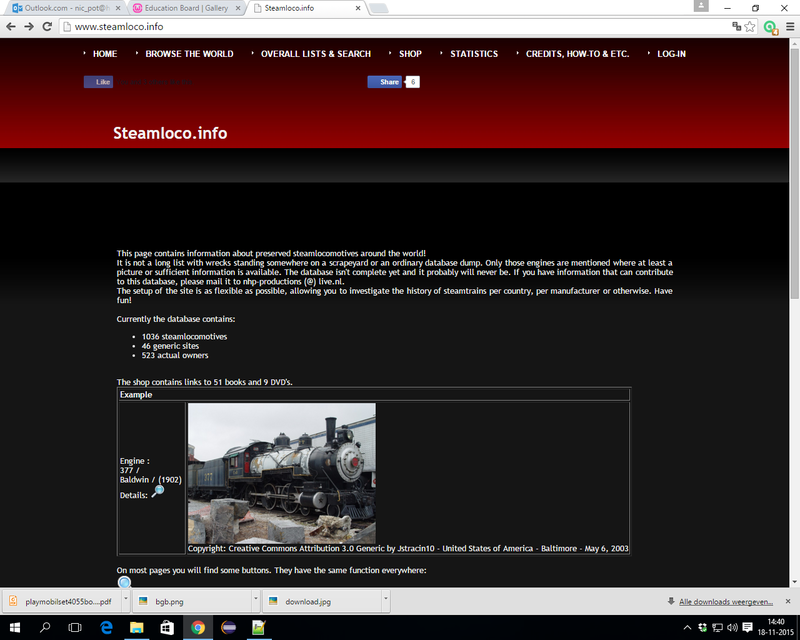 I had multiple objectives: learn HTML and PHP and collect information concering preserved steamlocomotives. On the internet a wide variety of templates, tools and guidelines can be found to build your own website. I tried to minimize the use of tooling to gain as much knowledge as possible in the limited time I had. Fact is that this approach led to a working website, but also was on 'web 1.0'-level. Therefore I started with version 2 of this site - the version you are looking at now. The set-up is more logical, interaction with users is now available. The table will give an overview of the latest updates on this site. May 11, 2011 The first entry in the changelog of the original site: Continents Africa and Oceania were made available! 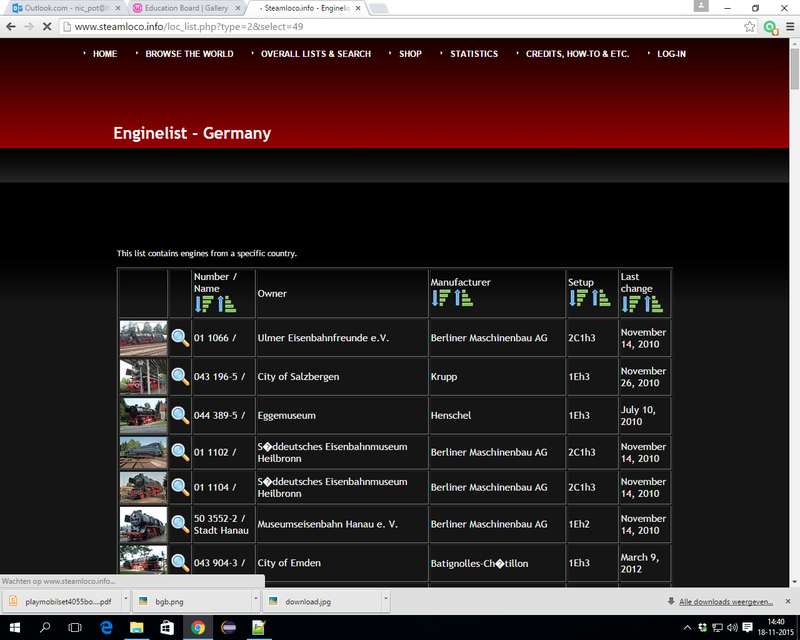 November 2, 2014 The last update of the original site: Technical details were added to the locomotive-detail page. January 12, 2018 Number of small improvements: more direct hyperlinks added, large number of data improvements entered.